Beverly Hills is famous for many things, including the activities of a vacationing policeman and - to a slightly lesser extent - its Polo team. 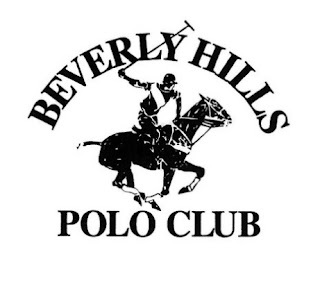 Like many other Polo brands the Beverly Hills Polo Club name has been heavily licensed for consumer products such as clothing and shower gels. There has been a longstanding dispute between the club's UK licensee (Lifestyle) and six Sports Direct group companies (including an earlier decision from Master Clark regarding the required court fee for IP claims - see an earlier IPKat post here). The dispute concerns infringement of EU and UK trade marks and procuring breach of a licence agreement. It began in September 2015 as a claim for trade mark infringement based on the sale of various items of clothing. In April 2016, permission was given for the claim to be expanded to cover the sale of gels as well. The gels defence was based on exhaustion of rights. In a recent hearing, Lifestyle sought to add five new defendants to the claim. The rules about joining new defendants to a claim (joinder) are set out in CPR 19. The key point is that after service of the claim form, the court's permission is required to add or remove defendants. In most instances, this application can be dealt with without a hearing only where all the parties are in agreement. In this instance, the parties could not reach an agreement, so four sets of law firms and their respective barristers ended up in court to determine the following questions. 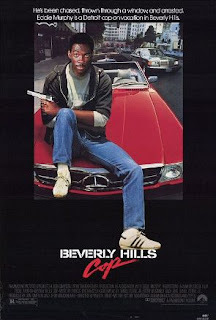 Is this the logo which launched a thousand lot of applications? Do the claims against proposed new Defendants 8, 10 and 11 have any reasonable prospect of success? The case against these defendants was based on joint tortfeasance. Master Clark considered the authorities including HHJ Hacon's interpretation of the Supreme Court in Sea Shepherd UK v Fish & Fish Ltd  UKSC 10: "I interpret this to mean that in order to fix an alleged joint tortfeasor with liability, it must be shown both that he actively co-operated to bring about the act of the primary tortfeasor and also that he intended that his co-operation would help to bring about that act (the act found to be tortious)." See Vertical Leisure Ltd v Poleplus Ltd  EWHC 841 (IPEC) at 66. As the Master identified, one of the difficulties that claimant(s) in IP claims commonly face is that they have no direct knowledge of the circumstances in which the infringing acts occurred and the individuals directly involved in them. "Their case is necessarily based on inference from the facts (including publicly available facts) known to them before disclosure, witness statements and cross examination of the defendants' witnesses." As the Master put it, deciding whether the proposed defendants should be added to the claim depends upon whether the claimants have a reasonable prospect of success of establishing that those facts are capable of giving rise to the evidential presumption HHJ Hacon referred to in Vertical Leisure v Poleplus. Does the court have jurisdiction in the claim against the 7th Defendant? The 7th Defendant is a Spanish incorporated company. There was some dispute as to whether or not the Defendant's status as a Spanish company meant it could only be sued in Spain on the basis that this was the country where it is domiciled (Art 97(1) of the Regulation) and the EU Member State in which the act of infringement was committed (Art 97(5) of the Regulation). However, Art 94 of the Regulation modifies the position in Art 97 so that the general rule is that the EU rules on jurisdiction apply unless otherwise specified. All the existing defendants and most of the new defendants are domiciled in England, therefore Article 8(1) of Regulation (EU) No. 1215/2012 ("Brussels 1 recast") came into play. This meant that the English courts have jurisdiction to hear the claim against the 7th Defendant. Should the joinder application be stayed pending the trade mark office's decision on validity? (3) Where the Community trade mark court stays the proceedings, it may order provisional and protective measures for the duration of the stay. "It will be a rare and exceptional case where there are special grounds within article 104(1)" (see the Court of Appeal in Starbucks (UK) Ltd v British Sky Broadcasting Group Plc  Bus LR 633). The Master considered that she was essentially being asked to consider two separate questions: (i) should the new defendants be joined to the part of the claim concerning infringing use of gels and (ii) should the 'gels claim' be stayed. She was influenced by the fact that if a stay was granted of the gels claim and joinder together, the proposed defendants would benefit from the limitation defence (England has a six year limitation period). For the reasons outlined above, the Master had concluded that the claimants have reasonable grounds for their claims against the new defendants. Therefore the answer to the first question was "yes" and joinder was simply a case management question. The stay was slightly less straightforward and, in the immortal words of East 17, the Master decided to hear about the Stay Another Day. This was on the basis that the question of a stay came up shortly before the hearing and the parties should have a proper opportunity to provide evidence and considered arguments. This had a knock on effect on the trial date which is now listed to be heard in the autumn (rather than June).